the first JSPS GHMC ALUMNI 2012, on 15th & 16th 2012. 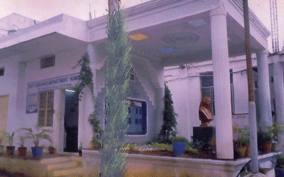 The Jayasurya Homoeopathic medical college was instituted on 31 st August 1967. Dr. Dwaraka Bai and Mr Obul Reddy did the inauguration of the college. inaugural address. Sri Moturi Satyanaryana and Smt Moturi Kamala Devi started Amarajivi potisriramulu Homoeopathic college in the year at Jambagh, Hyderabad. The two private colleges were merged in 1972 after a great effort from our doctors which was named as JSPS GHMC. The College which was started at Kachiguda, later shifted to Malakpet then finally developed into a fully established premier institute of UG & PG courses in India . Many Students from the beginning have contributed for the development of our college. Dr C. Nagabhushanam garu had got land sanctioned from Osmania University campus for the college. Our students had achieved great heights in various fields apart from practicing Homoeopathy. hospitals in the state and serving people. We had students as Minister in State & central Cabinets , Chairman & Managing Director of well established companies, Member Service commission , worked and working as principal of various Homoeopathic medical colleges and many joined as teaching faculty and serving the system. We also have corporate trainer from our old students. Principal, Devs Homoeopathic Medical College, A P.